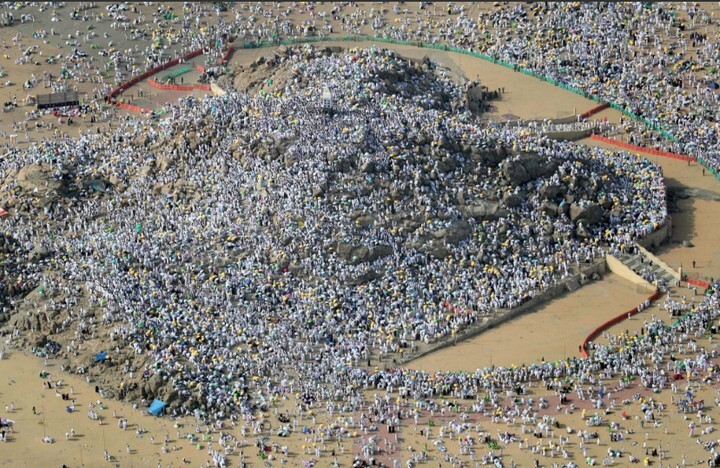 Thousands of Nigerian pilgrims and other Muslims climb Mount Arafat, Saudi Arabia, to commemorate the sacred rites of Hajj in Mecca. 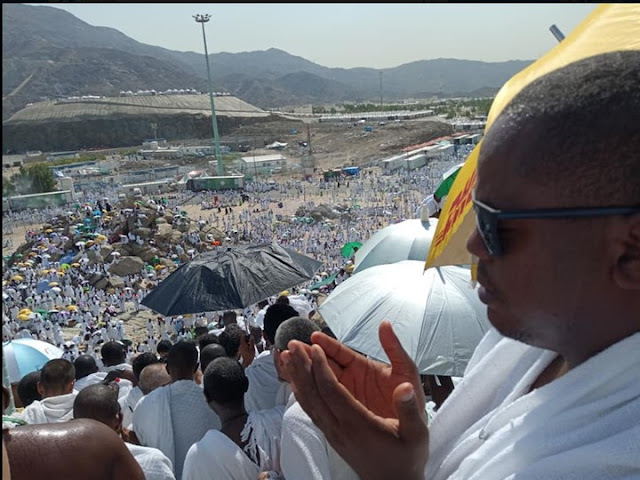 Being the ninth day of Dhul-Hijjah (Hajj Month), known as Arafat Day, pilgrims of vast nationalities left their old camp in the tent city of Mina to join the Arafat Plains, where the Prophet Muhammad) gave his sermon of farewell, according to Islamic principles. 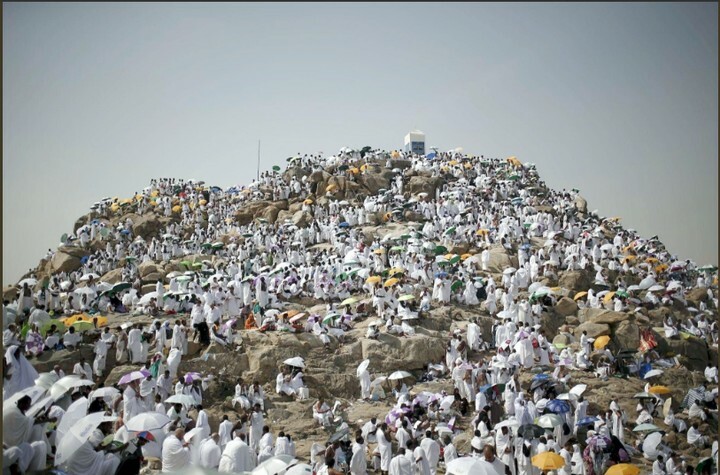 On Mount Arafat, pilgrims rise with deep solicitude and devotion, praying for the abundant forgiveness of God, while religious warn them of religious and moral issues. The day ends with the recitation of the evening prayer of Al Maghrib. After sunset, the pilgrims will leave for Muzdalifah, where they will collect pebbles to perform the "stoning of the devil". The ritual begins in earnest on Tuesday as Muslims observe the first day of Eid al-Adha, or Feast of Sacrifice, marking the end of Hajj. Muslims traditionally slaughter sheep for Eid al-Adha for three days, a tribute to the lamb sacrifice of the prophet Abraham after God spared Ishmael his son. They will eat some of the meat and give the rest to poor people who are unable to buy food. Hajj is one of the five pillars of Islam that every Muslim is required to fulfill at least once in his life if he is in good health and has the means to do so.